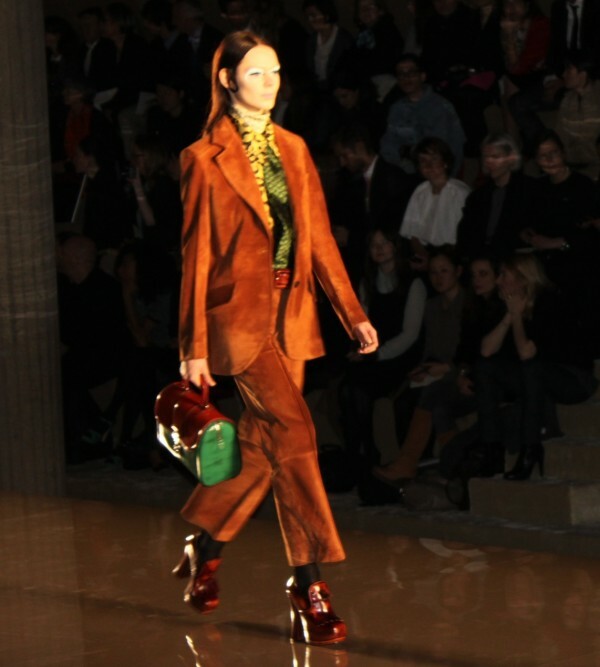 My last show for the F/W 2012 season was Miu Miu yesterday. 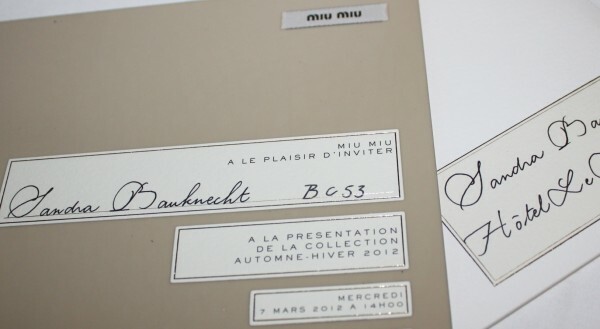 Imagine Austin Powers and the dandy style, add some late sixties and very early seventies and the outcome would be Miuccia Prada’s moodboard for her Miu Miu F/W 2012 collection. 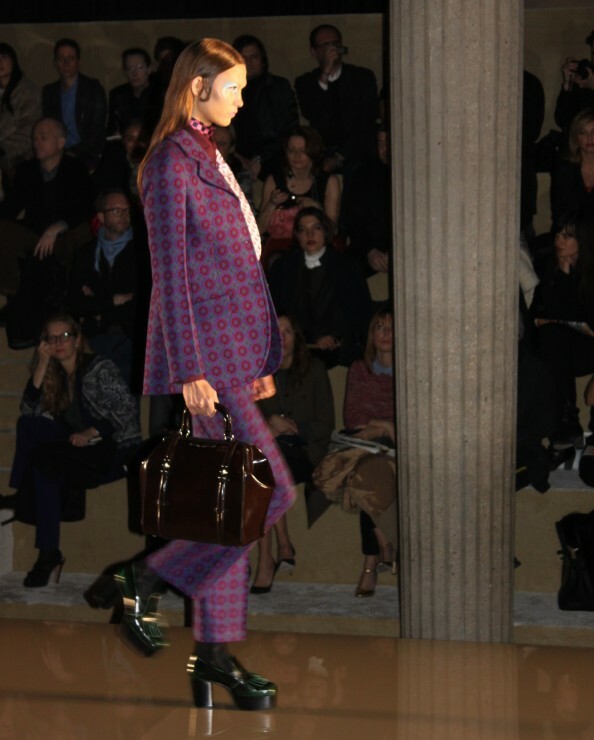 The pants worn cropped played a major role as already seen at Prada. It seemed like she had an obsession with them. 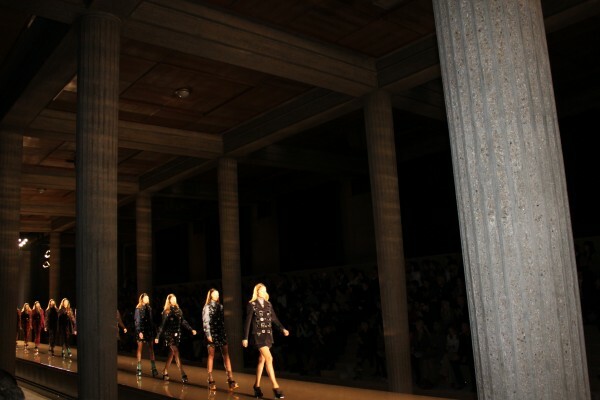 Just in the end of the show, some short dresses with lots of embellishments appeared on the runway. 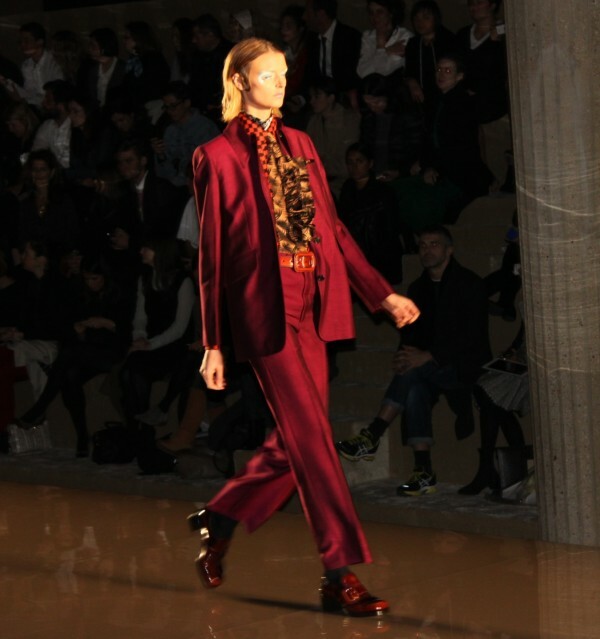 I loved it, it was a fresh and different approach to the winter season and her colour combinations were absolutely gorgeous. And do you know who else I spotted? Marc Jacobs who just had presented his F/W 2012 collection for Louis Vuitton earlier in the morning, was sitting front row and congratulated Miuccia later on her designs. 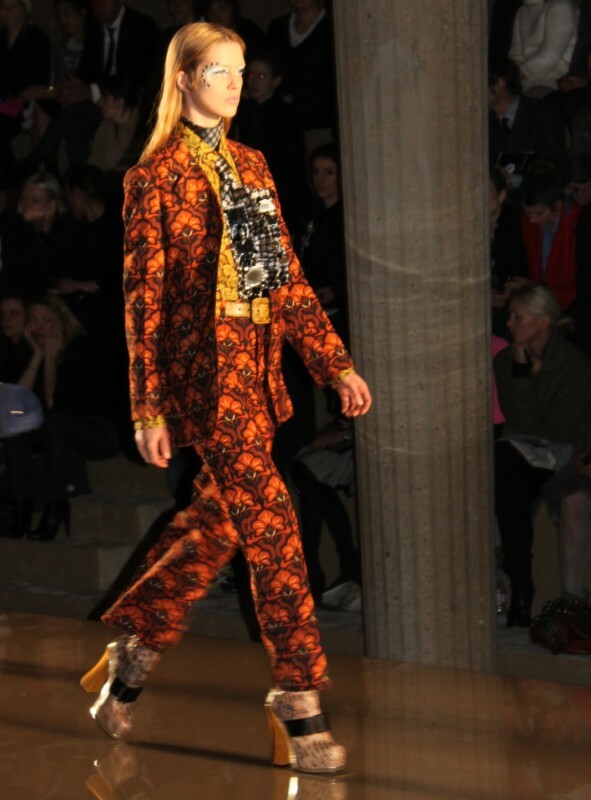 Yes, she nailed it again as the matching-print pantsuit is a must for the next season! 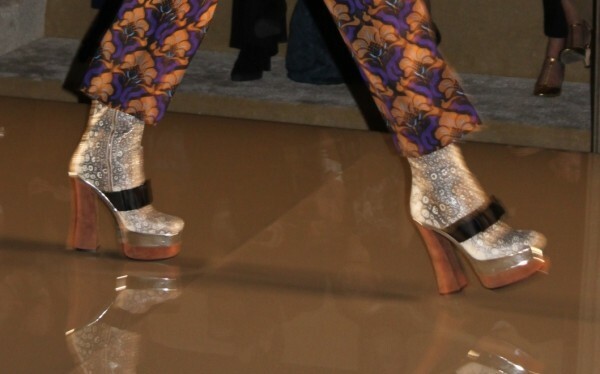 And Miu Miu will definitely be on my shopping list! 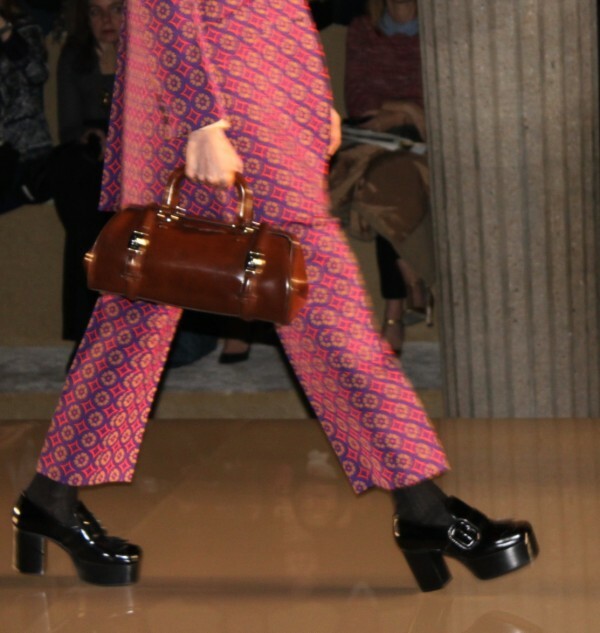 The blue-haired celebrity I was talking about was Katy Perry who came to the Miu Miu show in head-to-toe Prada. 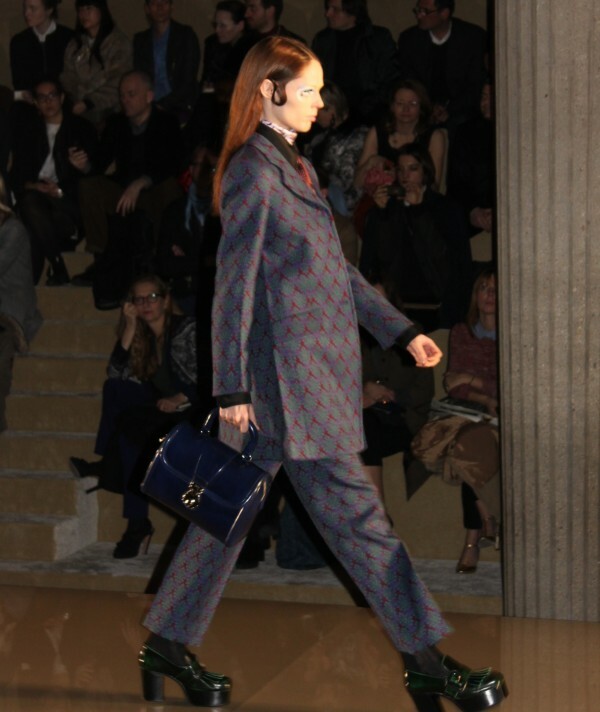 When she saw her friend, American actress, Kate Mara, all dressed in Miu Miu, she seemed to compare their looks. I thought that it was pretty funny to watch. Below you can see Anna dello Russo wearing the famous Miu Miu sunglasses.